An exciting page-turner that will not insult your intelligence! In Goodreads, 5 stars = "It was amazing." What I find most amazing about this first novel was how deceptive it is. Of course the plot is deceptive - it's a mystery. The writing is even more deceptive, flowing and seemingly simple, yet powerfully pulling this reader into the mind and emotions of first-person narrator (and hero) Alex McKnight. "Less is more." It was the advice of two nephews, one a firefighter, the other a firefighter/paramedic, that led me to his book. Both of them have been reading every Steve Hamilton book they can get their hands on. Well, guess what? As soon as I closed this first entry in the series I did a search of the C/W MARS (Central/Western Massachusetts Automated Resource Sharing System) database to find the nearest copy of #2 in the series, Winter of the Wolf Moon. I drove to pick it up and started reading as soon as I got home. I recommend this for anyone looking for an exciting page-turner that will not insult your intelligence. Harry The Librarian. This is one of the most upsetting things I have read in a long time on the subject of contemporary education. Decades ago, when it was already common to purchase essays by ghost writers, and diplomas became less reliable indicators of "being educated," I predicted a time when honored human "examiners" would orally test and interview applicants for "certification." Here we see the opposite approach and its potential for disaster. Shame on anyone who calls him or her self and educator and relies on a machine to evaluate prose! ANY NATIVE speaker over age 5 knows that the preceding sentences are incoherent babble. But a computer essay grader, like the one Massachusetts may use as part of its new public school tests, thinks it is exceptionally good prose. PARCC, the consortium of states including Massachusetts that is developing assessments for the Common Core Curriculum, has contracted with Pearson Education, the same company that graded the notorious SAT essay, to grade the essay portions of the Common Core tests. Some students throughout Massachusetts just took the pilot test, which wasted precious school time on an exercise that will provide no feedback to students or to their schools. It was, however, not wasted time for Pearson. The company is using these student essays to train its robo-grader to replace one of the two human readers grading the essay, although there are no published data on their effectiveness in correcting human readers. 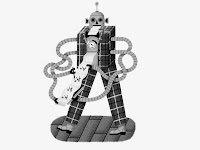 Robo-graders do not score by understanding meaning but almost solely by use of gross measures, especially length and the presence of pretentious language. The fallacy underlying this approach is confusing association with causation. A person makes the observation that many smart college professors wear tweed jackets and then believes that if she wears a tweed jacket, she will be a smart college professor. Robo-graders rely on the same twisted logic. Papers written under time pressure often have a significant correlation between length and score. 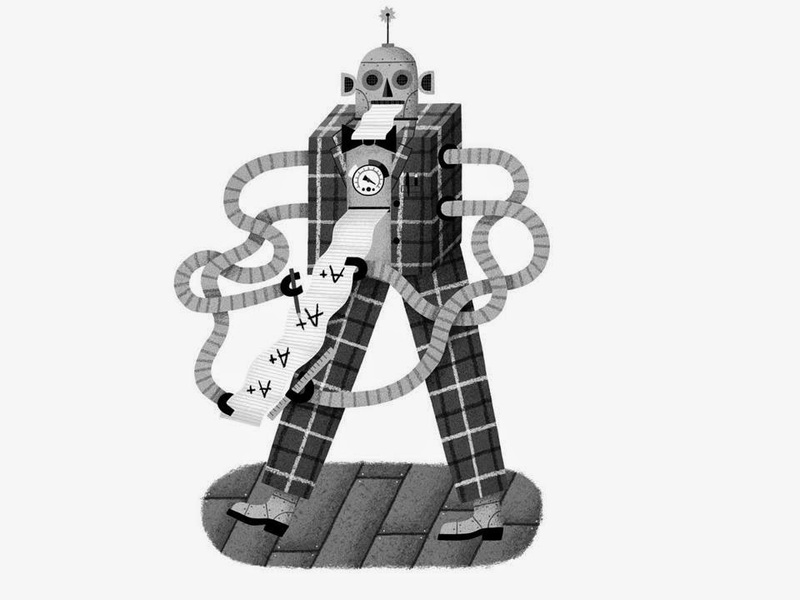 Robo-graders are able to match human scores simply by over-valuing length compared to human readers. A much publicized study claimed that machines could match human readers. However, the machines accomplished this feat primarily by simply counting words. Recently, three computer science students, Damien Jiang and Louis Sobel from MIT and Milo Beckman from Harvard, demonstrated that these machines are not measuring human communication. They have been able to develop a computer application that generates gibberish that one of the major robo-graders, IntelliMetric, has consistently scored above the 90th percentile overall. In fact, IntelliMetric scored most of the incoherent essays they generated as “advanced” in focus and meaning as well as in language use and style. Unfortunately, the problem in evaluating these machines is the lack of transparency on the part of the private vendors and the researchers associated with them. None of the major testing companies allow easy access or open-ended demonstrations of their robo-graders. My requests to the testing companies to examine their products have largely gone unanswered. A Pearson vice president explained that I was denied access to test the product now being considered by PARCC because I wanted “to show why it doesn’t work.” I was able to obtain access to Vantage’s IntelliMetric only by buying its Home School Edition. PARCC should experiment with much more effective and educationally defensible methods for quality control, such as having expert teachers check readers by reading and scoring 20 percent of their papers. This method, already used by the National Writing Project and some of the Advanced Placement examinations, is more reliable for ensuring accuracy. Moreover, the more the scoring is done by real teachers, the more the process produces a double benefit in providing in-service training for teachers along with assessment. Education, like medicine, is too important a public resource to allow corporate secrecy. If PARCC does not insist that Pearson allow researchers access to its robo-grader and release all raw numerical data on the scoring, then Massachusetts should withdraw from the consortium. No pharmaceutical company is allowed to conduct medical tests in secret or deny legitimate investigators access. The FDA and independent investigators are always involved. Indeed, even toasters have more oversight than high stakes educational tests. Our children deserve better than having their writing evaluated by machines whose workings are both flawed and hidden from public scrutiny. Whatever benefit current computer technology can provide emerging writers is already embodied in imperfect but useful word processors. Conversations with colleagues at MIT who know much more than I do about artificial intelligence has led me to Perelman’s Conjecture: People’s belief in the current adequacy of Automated Essay Scoring is proportional to the square of their intellectual distance from people who actually know what they are talking about. Les Perelman recently retired as director of Writing Across the Curriculum at MIT, where he is now a research affiliate. I noted, “Dan WANTS to know how to quiet ‘the voice,’ but has no clue as to how to do it. Tolle’s specific suggestions don’t compute for him.” I thought about phases of my life, wondering if they could be “integrated,” or if they were too diverse, representing “jumps” with no real continuity. Or could the only “real” continuity be the presence through it all of that narrator’s voice, the exact one that Dan Harris writes of trying to escape? When Harris finally mentioned “Monkey Mind” on page 91 I realized I had been waiting for him to appear. In an FAQ section at the back of the book Harris compares Hinduism based Transcendental Meditation (which I have practiced for six years) with Buddhist meditation that focuses on mindfulness and “being in the now.” What I most love is his comment, “The two schools tend to look down their noses at each other. However, even though I’m in the Buddhist camp, I’ve done enough poking around in the TM world to be convinced the practice has plenty of benefits.” (p.236) Blessed be a peacemaker! I wondered if a discussion like this would include the role of libraries and was pleased when Newitz said, "Perhaps more than any other group, librarians have pondered the question of how to preserve information in the face of total destruction." Not included, but worth studying as a model, is how the record of civilization was saved during several dark ages by monastic scholars in monasteries. The threats we face are real and frightening, yet we are a most resilient species. Harry The Librarian. Most of us are ready for small-scale disasters. We’ve done fire drills and filled out the “emergency contact” field on forms. But few of us have emergency plans for after we have to flee an asteroid impact that lights an entire continent on fire, or to cope with the complete social breakdown that would follow in the wake of a global radiation disaster or a deadly pandemic. We’re haunted by the idea of these mega-catastrophes, because they’re not implausible. It’s just that preparing for them isn’t as simple as building a bomb shelter. When you’re looking down the barrel of a civilization-erasing event, you have to plan for a world where humanity has lost everything. Canned goods might be nice, but you’d better have brought along a can opener—or know how to make one. In the event that life as we know it is truly upended, the survivors will have to rebuild our civilization. Given everything humanity has learned over the past hundred thousand years, what information should we leave them? And how do we store it so they can actually make use of it? In recent years, these questions have jumped from the pages of science fiction novels and onto the research agendas of a range of thinkers, from physicists to philosophers to agricultural engineers to librarians. As humans become increasingly aware of our impact on the planet and the gravity of the disasters that have struck Earth in the past, it’s starting to seem wise to consider how we would reboot in the event of a system failure. Our best shot at clawing our way out of a new dark age may be to start curating and preserving caches of the most useful and important information, tools, and biological samples from today’s world. And the things we’re trying to save say as much about what we value in the world we’ve already built as they do about our hopes for the future. If humanity is decimated by a pandemic this year, Dartnell told me by phone from his office at the University of Leicester, his goal is for “The Knowledge” to help us do things like loot our abandoned cities for metals, or find sources of energy on a planet whose most accessible fuels have long ago been mined. Part of the trick, he notes, is that our present-day lifestyle depends on a huge amount of information that we ourselves do not know. “The most visible technology we use daily is just the tip of a vast iceberg,” he writes, and “represents the heritage of a long history of advances and developments.” If we try to rebuild based on the giant trove of information in a library or Wikipedia, he says, it will actually be too overwhelming. What we need to leave the survivors is a guide to producing the basics—food, clothing, tools, energy, medicine, ways to communicate. And in rebuilding, we will also want to skip some of what, in the present day, have turned out to be dead ends. Fossil fuels, for example, were fun while they lasted, but now that they’re mostly depleted, it hardly makes sense for a new civilization to try to duplicate that effort. There’s another place such practical information is being collected: in repositories intended to spread access to technological know-how right now. Since 2000, a Scottish software engineer named Alex Weir has been compiling agricultural and health information into a resource he calls cd3wd. His goal is to help people in developing nations bootstrap their economies, but observers have also pointed out that it would be an extremely useful library for future humans who wanted a shot at healthy food, clean water, and basic medicine. 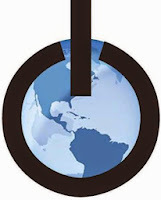 Similarly, physicist Marcin Jakubowski founded the Open Source Ecology group almost a decade ago to create publicly available blueprints for what he believes are “the 50 most important machines that allow the modern world to exist.” These include everything from ovens to 3D printers, and together they make up what he and his collaborators call the Global Village Construction Set. It’s not hard to see them as seeds that could grow into a new modern world. Some things that humanity needs are dependent on a more literal kind of seed—the kind that contains biological information that can’t be re-created from a blueprint. Famine is likely to follow in the wake of mega-calamity, especially because so many farms now use the same crop species, which have the same vulnerabilities to disease, drought, and temperature changes. With this in mind, Norway’s Ministry of Agriculture and Food established the Svalbard Global Seed Vault roughly a decade ago on an island off the nation’s coast. There, a huge diversity of seeds is preserved in a series of naturally cool, dry caves. The Svalbard Global Seed Vault, which works closely with the United Nations, states on its website that its goal is “preserving the world’s biodiversity...thereby ensuring food for the world’s population for the foreseeable future.” Its stores are defense against “natural disasters, war or the lack of management or finance.” These seeds, in other words, could carry us through both environmental destruction and social collapse. You don’t need the official status of the UN or the government of Norway, of course, to think ahead about what you might want to survive. Over the past decade, an active community of “preppers” has arisen on multiple continents—in essence, a whole grass-roots community of people trying to guess what they would need in the event of “the end of the world as we know it.” For the most part, preppers are more concerned with interruptions in the supply chain than with trying to start over from scratch, so their preparations largely involve stocking up on food, survival gear, and weapons. But they are also interested in the information that will be useful in a disaster; they are fond of military survival manuals like the freely available FM 21-76 US Army Survival Manual, and use online forums to swap information about how to make your own butter or fuel. When I talked to Tom Martin, a founder and vice president of the American Preppers Network online community, he emphasized that a big part of preparing for mega-disaster is storage. You need “a lot of cabinets,” he said with a slight laugh. 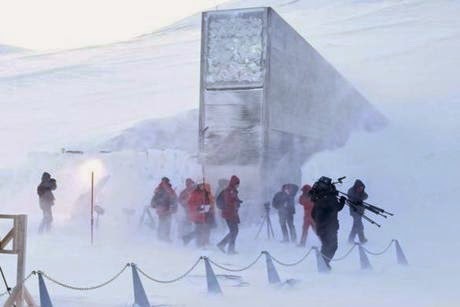 Indeed, the quest for the right kind of cabinets was one of the hardest problems for the Svalbard Global Seed Vault, whose organizers eventually settled on dry caves that could resist temperature changes and radioactive bombardment. That might be a solution for one centrally located trove of seeds, but somewhat different storage questions arise when your goal is to make a cache of blueprints for machines, or information about the germ theory of disease, broadly available to survivors wherever they are. Perhaps more than any other group, librarians have pondered the question of how to preserve information in the face of total destruction. In disaster-prone Australia, where the State Library of Victoria in Melbourne has emergency plans in place for everything from floods to bush fires, metadata and cataloging librarian Afsana Khan can sum up their preservation plans with one word: redundancy. Will the survivors of the future still have access to the Internet, or are they better off having guides to knowledge available on paper, or in some other form? Who knows. The answer is to pursue all those kinds of media storage at once—to preserve the information in paper and in digital form, as well as on microfiche. Megan Prelinger, founder of the open- source Prelinger Library in San Francisco, echoes Khan’s sentiment. Her library was founded on the principle that it’s crucial to maintain both online and paper versions of the collection, and to put it into as many hands as possible. At the Prelinger Library, patrons are encouraged to make their own digital copies of what they find. The more people who have a given piece of information, the more likely it is to make it through a global catastrophe. Storage aside, the question of how to reboot civilization makes us consider something unusual: what our most valuable accomplishments as a society really are. For some, this means stockpiling what could turn out to be the very last vestiges of mass production: canned goods, jugs of fossil fuels, all-terrain vehicles. For others, though, it means wanting to be sure survivors know about the scientific insights that brought us those commodities in the first place. People may need food and shelter most of all, but it’s appealing to think that handing them a few key precepts of our culture could mean the difference between a hardscrabble, neolithic life and a much better one. Indeed, there’s a utopian strand to apocalypse guides. Armed with the best information from today’s world, perhaps we could build something better in the rubble that remains. Maybe, if we jettisoned all that baggage from a history of war-making and industrialization, we’d actually be left with a more enlightened and sustainable society. For Dartnell, that optimism is implicit in imagining how we might rebuild. “‘The Knowledge’ isn’t really about the apocalypse,” he acknowledges. “It’s about how our world was built, and how you could do it over, with hindsight.” His plans may anticipate the destruction of our world, but embedded in them is the hope that there might be a better way to live in the pre-apocalyptic world we inhabit right now. Annalee Newitz is the editor-in-chief of io9.com and the author of “Scatter, Adapt, and Remember: How Humans Will Survive A Mass Extinction,” which has just been published in paperback. Dennis Lehane has shown by his actions, for many years, his support for public libraries. His column in today's Boston Globe is a stirring and important proclamation of their continuing central role in civilization. "...an idea that can’t stand up to skepticism and intellectual rigor isn’t an idea at all, it’s a narrative." And more shocking in today's climate, yet crucial to our culture, he reminds us that "All ideas are not equal, nor are all thinkers." 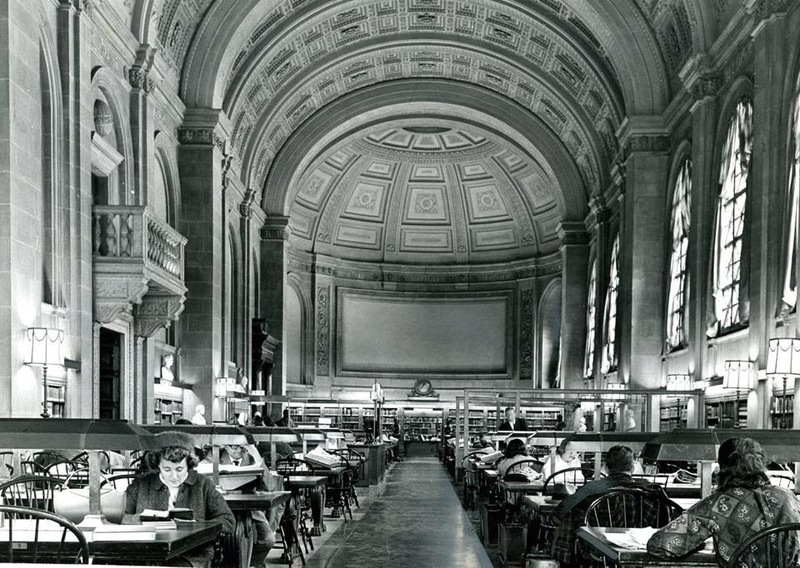 The unique feature of American Public Libraries is to create access to all ideas and thinkers, with the faith that educated and thoughtful humans can sort the wheat from the chaff. WHEN THE bombs went off at the Boston Marathon last year, my first glimpse of the incident, via a shaky TV camera, was of the corner of the Boston Public Library. My first thought — wholly unformed — was: Whoever did this hates knowledge. In that moment, I had no idea that the intended victims were Marathon runners and spectators; I thought the target was the library. Time has proven me incorrect about the library but not, I feel, about the knowledge. All fanatics hate knowledge. And when I say knowledge, I’m speaking of the unfettered, unrestricted kind. The kind that isn’t easily contained or easily defined. The kind that doesn’t fit in a jar. My relationship with libraries and the knowledge they hold began reasonably young when my first-grade teacher told my mother I liked to read. Armed with that information, my mother took me to our local neighborhood branch, the Uphams Corner Library, on the corner of Columbia Road and Bird Street, and signed me up for a library card. It was that simple and that seismic. The formal education of my mother and father, both Irish immigrants, was amputated at a grade school level. Because of that, they valued knowledge the way only those who’ve been denied access to it can. Once I had access to free books, I went back at least once a week, often twice. At some point my mother, sensing something growing that was bigger than either of us, took me to the BPL’s main branch in Copley Square. 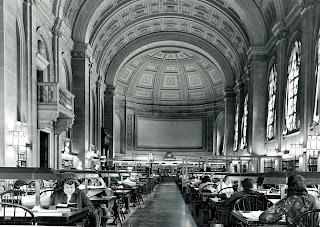 In the marble and the tapestries and the great staircases and endless rows of books I felt the weight of history. And the call of it. The pursuit of knowledge wasn’t parochial in that moment, it was global. It had no idea where it was going, only that it was pursuing an endpoint of infinite branches. The Tsarnaev family story was also an immigrant story. But whereas the story of my parents and their brothers and sisters and in-laws was a story of a collective flowering, the Tsarnaev’s story was often one of curdling, of unrealized dreams further thwarted by an entitlement narrative. When the riches and boxing trophies that the elder son and his parents seemed to believe were his birthright did not arrive, blame for those failures was not placed on the self, but on the perceived hostility of a culture that had given the Tsarnaevs welfare, Section 8 housing, and a first-class public school education. Tamerlan Tsarnaev’s inability to achieve boxing success may have set him on a path of destruction that led to three dead spectators, more than 260 wounded, and one dead police officer. One couldn’t ask for a more banal or pathetic fuse than that. We fret in this society — and many societies worldwide — over moral relativism. But I’m far more worried about intellectual relativism. All ideas are not equal, nor are all thinkers. I’m reminded of Chris Rock’s line, “Whatever happened to just plain crazy,” when I think, “What ever happened to just plain stupid?” The Internet has led us down a wholly illusory rabbit hole in which all opinions exist in a kind of egalitarian dystopia — all are equal, so none may flourish. But opinions come in different shapes and flavors. The birther who believes global warming is a hoax because she still feels cold in February holds an opinion substantially less worthy than the scientist with the PhD in environmental science. And we used to know that. As a country, we used to respect knowledge that was earned over knowledge that was cherry picked. Now we watch Fox News, MSNBC, and TMZ. Three years after Tamerlan Tsarnaev’s boxing dream died, his pursuit of knowledge began, but it was self-serving and self-contained, a strict and narrow narrative that didn’t allow for questions. The “facts” that he discovered during his mother-assisted association with radical Islam were picked with prejudice aforethought. The ideas that grew from them brooked no argument. But an idea that can’t stand up to skepticism and intellectual rigor isn’t an idea at all, it’s a narrative. And that type of narrative is often rigid and recalcitrant, steeped in an inferiority complex that leads to shouting down your opponents. Or shooting them. Or blowing them up. Because it’s not an argument you can win, it’s only an argument you feel. So what’s still standing after the bombs or the bullets? The better ideas. The library stands. The Marathon will be run for the 118th time. And bad narratives and bad ideas continue to do what they have always done — flower and die, flower and die. This is not a water slide! My youngest child was 6 months old, her brother and sister 6 and 8 when I left them one night with a baby sitter while my husband and I had dinner a few miles away. When we came home, I asked the young sitter how things went. The older kids were great, she said. But the baby was a brat. The word angered me. It angers me still. How can a 6-month-old be a brat? Fussy, yes? Difficult. Unsettled. Loud. Unhappy. Inconsolable. I never called that baby sitter again. There’s a book due out April 8. It’s being marketed as a Mother’s Day gift. Its title? “I Heart My Little A-Holes.” Even before its official publication, it has a five-star rating on Amazon.com. Readers are effusing over the book. I am dumbfounded by this. But maybe that’s just me, too. 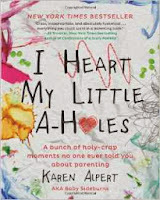 The author, Karen Alpert, is a mother of two. She has a blog, Baby Sideburns, on the ChicagoNow blog network, which is run by the Chicago Tribune. On Nov. 26, 2012, she posted a piece called “What NOT to F*ing buy my kids this holiday.” It was irreverent and crude, an open letter to Grammy, Grampy, Nana, and Pop Pop, full of words the Globe won’t print. In an interview with Publisher’s Weekly last month, Alpert said that until this piece, she’d been a struggling writer with only 170 Facebook followers. After this post, she got fame and fans and now has more than 130,000 Facebook followers. Alpert had found a gimmick. And her writing career took off. She self-published “I Heart My Little A-Holes” after getting $21,000 in contributions through Kickstarter, a social fund-raising network, and when the book began making money, the Golden Goose named HarperCollins came calling. And this, I suppose, is the happy ending. Except for the kids. Her kids. Our kids. All the kids getting slammed on the Internet for being kids. Wealthysinglemommy.com calls her kid the same name that Alpert uses in her book title. And everybody laughs. I know it’s a trend to complain about our children and our overscheduled, overprogrammed lives. And I know this is Alpert’s schtick. Anything for a laugh. And fame. And money. But her words offend me. I’m the daughter of a mother who would have loved a second child. I’m the mother of a daughter who would welcome more children. I’m the friend of a young woman who just lost her unborn baby daughter three weeks ago. I know too many women who want children and can’t have them, women who’ve had children and buried them, women who really do have a hard time going anywhere because the inevitable question comes up, “How many kids do you have?,” and they don’t know how to answer. Alpert’s words are crude and lazy, easy to grab, slang that you sling around, but what do they mean, really? Feeding two kids is what exactly? Isn’t a writer supposed to say what’s been said in a new way? Maybe this is the new way. And maybe it is just me. But it sure doesn’t feel like the right way. Beverly Beckham can be reached at beverlybeckham@me.com.